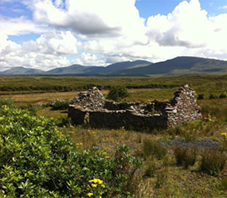 My Ireland Heritage find your Ancestors exact house location and all available records in Ireland. 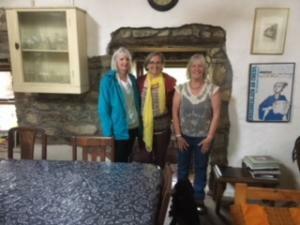 We are an Irish family business dedicated to assisting you in your Irish Genealogy research for your roots and records of your family history of past generations as well as providing you with a once in a lifetime Irish Genealogy tour experience to visit your families original family house and Walk in the Footsteps of your Irish Ancestors. Sean and the Team at My Ireland Heritage are a Government certified & approved Genealogy & Touring Company, and will personally guide you on the journey into your Irish ancestry to any County in Ireland. Many companies are genealogy research only, many companies are touring companies only, we at My Ireland Family Heritage are proud to be able to encompass your research and tour together enabling us to work with you throughout the process to customize your tour with you and for you. My Ireland Heritage is dedicated to assisting clients in the search for their Irish family history of past generations. Ancestral Townland experience Tours. 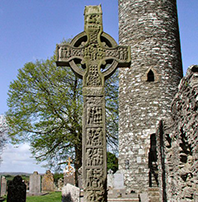 We can also take you on day tours to see Historical sites throughout Ireland. 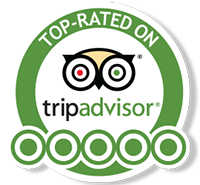 Our tours are designed exclusively for you and we will take you to the places in Ireland which matter to you and your family in consultation with us. We at My Ireland Family Heritage are the specialists at researching & Finding your Ancestors exact House in the 1800s and taking you to that exact spot where it once was. 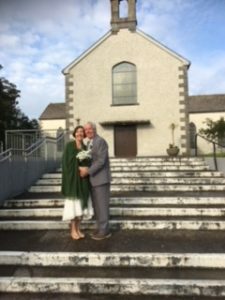 We will also provide you with a once in a lifetime Genealogy Tour Experience with our Government approved Failte Ireland Genealogist and Tour Guide. We have a 95% chance of finding the exact Place in the Republic and Northern Irelandwhere Your Ancestors Original House is or oncewas in1800s-1900s and if Ancestors / Neighbors are still in the vicinity we willintroduce you. The Correct Townland where your family once lived. The Correct Church your family actually used not just the Civil Parish identified on your records. The Correct Graveyard for the Townland of your family. All available findings in our full research Package Baptism/Marriage & tax records will be presented to you in our wonderful Manuscript Book. 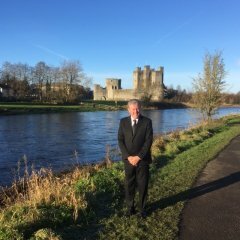 We visit all areas of Ireland prior to your visit and will communicate with all family members available in Ireland to make this a once in a lifetime experience for you. Our promise to you is built on sincerity. We will only work with facts gathered in our full research standing over each project from start to finish and if you’re Ancestors or their home cannot be found we will inform you at the initial preliminary stage. 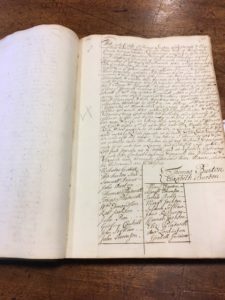 Our researchers search over 40 million Irish local and national records including Marriage Records, Burial/Death Records, Census Records, Gravestone Inscriptions, Military Records and even Passenger Lists. Many records in our extensive database are not online. If you have tried to find your origins through any of the many online genealogy sites, you will have discovered the difficulty of overcoming the many obstacles in Irish history. Prior to 1864 some Irish records are either forever lost or very difficult to find as a result of natural disasters and our Civil war. 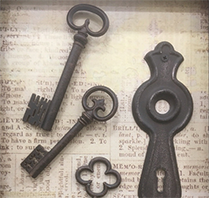 Working as a team with you to create memories that you can treasure for you and your family for the rest of your life, My Ireland family Heritage is your key to unlocking the door to your families past. If you’d like to talk to us and find out more, contact us now and find out how we can open the doors to your past.